A comprehensive step by step tutorial on securing MERN (MongoDB, Express.js, React.js, and Node.js) Stack web application using Passport.js. Previously, you have learned how to secure Node.js RESTful API and MERN Stack CRUD web application. Now, we will create the authentication system for MERN stack web application using the same concept of the previous tutorial. The flow of the web application is very simple. The React front will access secure RESTful API from Express.js backend then it will redirect to Login page if there's no authority to access the RESTful API. We also provide Sign up/Register page to register a new user then can access the secured RESTful API. We assume that you have already Installed Node.js and MongoDB. Make sure Node.js command line is working (on Windows) or runnable in Linux/OS X terminal. You can run MongoDB in the different terminal or command line. Type this command in the terminal or Node command line to check Node.js version. And here is our Node.js version. 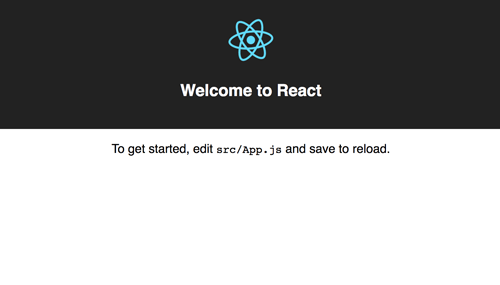 We will use React App creator to create or generate a new React.js application. Type this command to install it. Next, create a new React.js application by typing this command. That command will create a new React.js application with the name `mern-secure` and also install all required or default Node modules. Next, go to the newly created app folder. For sanitation purpose, run the React.js application for the first time by type this command. It will automatically open the default browser the point to `http://localhost:3000`, so the landing page should be like this. To make the web application run on Express.js, we have to move the default React.js starting point to Express.js. But first, we have to install Express.js and it's dependencies after stopping the running React.js application (press CTRL+C). Create a folder with the name `bin` and add a file with the name `www` on the root of the project. We use `bin` folder and `www` file as starting the file for Express.js following generated Express.js application. You may change your desire file and folder for that. Open and edit `bin/www` file then add this lines of codes. Now, open and edit `package.json` then replace `start` value. Next, create `app.js` in the root of the project folder. Open and edit `book.js` then add this lines. Now, open and edit `src/registerServiceWorkers.js` then add to the register function this `fetch` event listener below `load` event listener. So, the complete register function will look like this. Now, check the configuration by running again the Node server that handled by Express.js now. Open the browser then go to `http://localhost:3000` then you will see previous React home page. Then change the address to `http://localhost:3000/api/book`. You will see this response of web page. We will use Mongoose.js as ORM for MongoDB in Node.js environment. First, install Mongoose.js module and its dependencies by typing this command. Open and edit `app.js` then add this lines to the bottom of other variable lines. You can test the connection to MongoDB run again the Node application and you will see this message on the terminal. Now, open and edit `models/Book.js` file and add Mongoose require. It's time for securing RESTful API. First, install Passport.js module and its dependencies. Create a new folder for configuration files and add files to that folder. Open and edit `config/settings.js` then add this lines of codes. That file holds a secret code for generating JWT token. Next, open and edit `config/passport.js` then add this lines of codes. The different of User models are an additional function for creating an encrypted password using `Bcrypt` and function for comparing encrypted password. Open and edit `routes/auth.js` then declares all required variables. Export the router variable as a module. Open and edit `app.js` again to mapping authentication router to URL. Add this require variable after book variable. Add `app.use` after book `app.use`. It's time to securing the RESTful API resources. We will add a restriction for Book RESTful API. For that, open and edit `routes/book.js` then add this require variables. Replace all save book router with this. Replace all get books router with this. Add function to get and extract JWT token. And of course, this router should be exported as a module by adding this line. Now, run again the Express server then test the modified Book router by sending the same request. It should response this messages. That's mean the Book RESTful API is secure and accessible to an authorized user. We need additional modules for navigating the views, accessing RESTful API and styling the front end. Type this commands to install the required modules. Next, open and edit `src/index.js` then replace all codes with this. As you see that Login and Register added as the separate component. Bootstrap also included in the import for make the views better. Now, create the new login and register files. As you see in the previous step that App component act as home or root page. This component handles the list of books. Open and edit `src/App.js` then replace all codes with this codes. 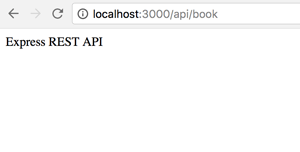 As you can see, there's a call to Book RESTful API when the page is loaded. If API calls response `401` error status then it will be redirected to the login page. We also put a logout button inside the condition where JWT token does not exist in local storage. As you can see in the codes, login action will get JWT token if successful then save it to local storage before redirect to the main page. Next, add style to this page by creating a new CSS file. Open and edit `src/components/Login.css` then add this lines of CSS codes. On that codes, we use the same style with login component. 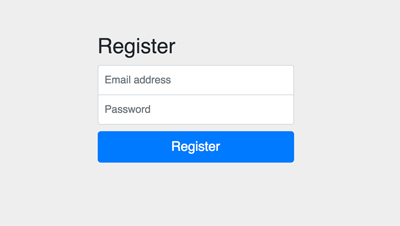 Register action will redirect to login component after successful registration. It's a time for test the whole MERN stack secure application. 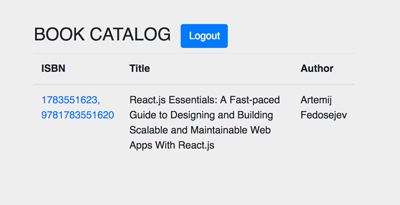 The React.js application will integrate with Express.js by building the React.js application. Type this command to build the React.js application. Next, type this command to run the Express.js application. Open the browser then point to `localhost:3000`. You will see the default landing page redirected to the login page. And here's the rest of the register page and main page. That's it, the complete tutorial of securing MERN stack web application using Passport.js authentication. If there's something wrong with the steps of the tutorial, you can compare it with the full working source code from our GitHub.